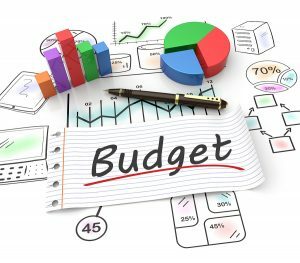 Alexandria, Arlington and Fairfax County governments have completed their deliberations and adopted budgets for FY2018. This was a particularly challenging year for all jurisdictions, as they experienced pressures from growing school populations and requests for additional metro funding to maintain the viability of the regional transit system. In addition, the City of Alexandria received a mandate from the General Assembly to address their combined sewer/runoff issue by 2025, adding significant costs and fees to their budget. Having said that, we believe that ‘challenging budgets’ are becoming the new normal, which will require us to devise more effective and creative strategies with new, non-traditional partners to address the region’s unmet housing needs. Here’s a summary of how housing and community development issues fared locally. Alexandria adopted a $728.1 million general fund budget for FY18 that included a 5.7 cent increase in the real estate tax rate, the largest in the City’s history. Through a successful community-wide advocacy effort that included a letter-writing campaign, meetings with Council members and public testimony, $4.3 million needed for a 113-unit affordable housing development at Church of the Resurrection was added into the final budget. The proposed draft budget did not include this funding which was deemed critical for the project to go forward. Arlington adopted a $1.25 billion general fund budget for FY18 that included a 1.5 cent increase in the real estate tax rate. Final modifications to the proposed budget included an additional $1.3 million for affordable housing, bringing the funding for the Affordable Housing Investment Fund (AHIF) to just over $15 million. Housing Grants, which provide rental assistance to certain categories of low-income households, was funded at $9.2 million. Housing supporters had advocated for an additional $10 million for AHIF to be added to the initial budget proposal of $13.7 million, making the case that the proposed level of funding was insufficient to cover pipeline projects in the upcoming fiscal year. Without additional financial resources, advocates argued that the goals of the newly approved Affordable Housing Master Plan could not be achieved. The budget also provided $60,500 to the Lee Highway Alliance, a citizen-initiated, grassroots organization engaged in long-term planning for the Lee Highway corridor (that will hopefully include affordable housing) to support continuation of their work. Fairfax County adopted a $4.1 billion general fund budget for FY18 with no increase in the real estate tax rate. The final budget included just over $6 million for a Housing Blueprint project and $3 million for Bridging Affordability, the County’s equivalent of a local rental subsidy program administered by a consortium of nonprofit organizations. These allocations are from the $17 million Penny for Affordable Housing Fund (one cent of the real estate tax). As a region, we continue to lose our market-affordable housing stock with new affordable units only a fraction of our annual new housing construction. Declining revenue from the federal housing programs and the drastic cuts proposed for the upcoming HUD budget make local funds, supportive land use and regulatory tools, and robust housing advocacy more important than ever.